Mauritius is an island state in the Indian Ocean, just south of Madagascar, consisting of two major and several smaller islands. It is one of Africa’s richest countries with a GDP of USD 12,000 per capita, and a fast-growing economy. Moreover, Mauritian citizens can travel to the Schengen zone, the UK and Russian without a visa. The proposition in the address contained two options for the investment citizenship program. Obtain Mauritian citizenship with a non-refundable contribution of USD 1 million to a Mauritius Sovereign Fund. Spouse and other dependent family members may be included in the application for USD 100,000 each. Obtain a Mauritian passport with a non-refundable contribution of USD 500,000 to a Mauritius Sovereign Fund. Spouse and other dependent family members may be included in the application for USD 50,000 each. 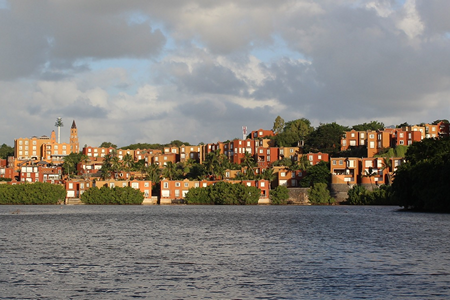 The Mauritius Sovereign Fund will be used to meet disbursements for new capital projects and public debt repayments, and will be managed by the Mauritius National Investment Authority. The most important question is whether a state can issue a passport to people who are not its citizens – since the main difference seems to be that investors in the second option are not granted citizenship, only a passport. This has been unprecedented so far. There are some states like Vanuatu that offer honorary passports, but they grant it only after granting honorary citizenship. Another important question is what is exactly included in these program options, especially as the option with citizenship costs double the price of getting only a passport. Will there be any additional benefits? Or any additional requirements (e.g. owning real estate or spending time in Mauritius)? Who is designing and implementing the program? Will it be solely the PM’s administration, or will they ask for the help of an advisory? There are many questions waiting for an answer, and we are excited to see what happens next. Watch this space for more info!